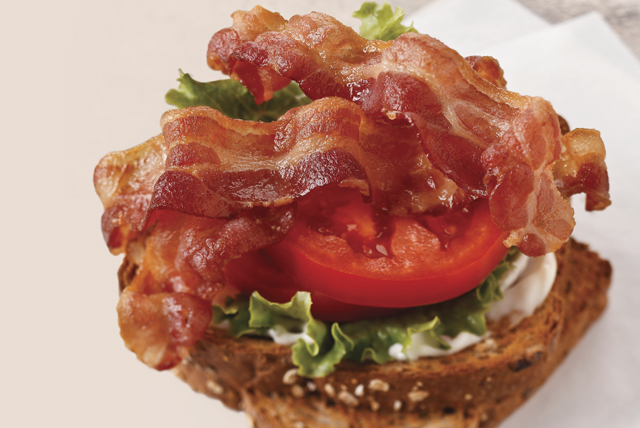 Smoky bacon is the star of this classic sandwich, with crisp lettuce and juicy tomatoes playing strong supporting roles. Pair this recipe with your favorite fresh fruit and a cold glass of fat-free milk. Prepare using OSCAR MAYER Turkey Bacon or OSCAR MAYER Butcher Thick Cut Applewood Smoked Bacon. Prepare using KRAFT Mayo Hot & Spicy Flavored Mayonnaise.